Missing a dose of your daily medications may not seem like a big deal; however, it can have real consequences on your health in the long-term. Despite good intentions, many people find it difficult to keep up with their daily medication intake. In fact, one study reveals that approximately 50% of people don’t take their medications as prescribed. As a concerned pharmacy in Glendale, California, we would like to help our customers improve their medication adherence. Make a list of all of your medications, including all prescription medications, over-the-counter drugs, supplements, and vitamins. Keep it somewhere accessible and make sure that you update it when necessary. This will help you keep track of which medications you are currently taking. 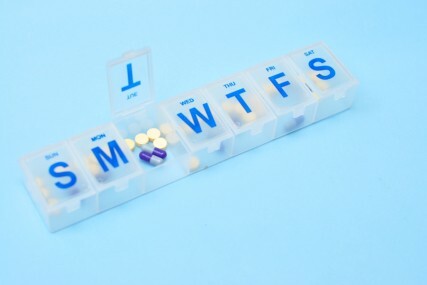 Take your medications at the same time day-to-day. To make it easier, tie it with something that you do every day, such as after breakfast, after a shower, or at bedtime. Coinciding it with a daily routine will increase your chances of remembering to take your medications. Utilize modern technology – use your smartphone or watch to remind you when to take your medications. You can also use your alarm clocks and other devices to set an alarm. In addition to setting alarms (or in place of), you can leave yourself notes around the house to help you remember. For instance, you can place Post-It Notes on your nightstand or bathroom mirror. You can also place a dry-erase board in a highly visible area of your home where you can write your complete medication list and when to take each dose. Even if you employ the tips listed above, missed doses can still occur. When this happens, consult your pharmacist and discuss ways to simplify your medication regimen. Ask about the extended release or once-a-day medications. As a top medical pharmacy, we would be happy to help you find ways to improve your medication adherence. There are various things that you can do to remind yourself when it’s time to take your medications – from making a list to setting alarms, to leaving yourself notes, and more. Apart from the 4 tips listed above, what do you do to remember? We would love to hear from you! This entry was posted in Medications and tagged Medication Adherence, Medication Regimen, Prescription Medication. Bookmark the permalink.